The long-awaited Paint Drumming Project is complete!!! All the snippets have been shared, the video is edited, all that's left is for you to enjoy :) I would like to present to you 'Volcano Rising', the three-month production involving 25 crew members, 20 pizzas, 10 litres of soft drink, 3 bags of cookies, a whole lot of water, lights, cameras, action, recording equipment, drums and true joy for the production of originality and support of talent. Last Friday, Mac-Cussion flew to Melbourne for the next round of Australia's Got Talent. We were so excited! Our school principal decided to surprise us and when we were about to go on stage, we saw that our parents were in the audience! She had secretly flown one parent from each family to see us play and support us. My mum even brought little packets of lollies for all of us with little cards that said "Mac-Cussion Rulz". This is a moment I've been waiting for a long time. 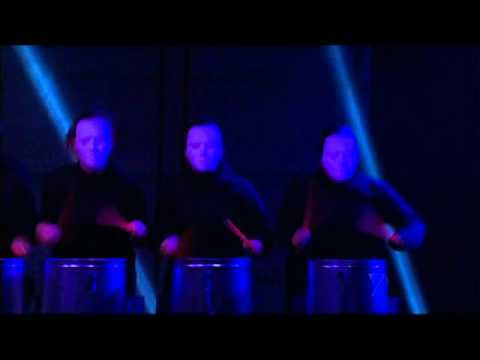 Macgregor Percussion Ensemble's performance on the popular TV show Australia's Got Talent. A few months ago, we got the exciting news we were going to audition for the show. After that came early mornings and long hours of practicing our piece, called Stinking Garbage, over and over and over and over again. My legs hurt from crouching and popping up so many times. 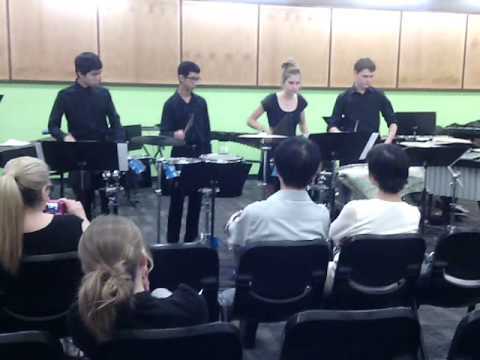 The Macgregor High Percussion Ensemble, recently renamed MacCussion, was interviewed and recorded performing on ABC radio.